To better serve our customers and provide technology that makes running an online business seamless, we’ve recently implemented new technology that will offer better security and open up integrations to more of our customers dropshippers and suppliers. Ecomdash has added support for SFTP along with existing support of FTP and FTPS for feed management. SFTP stands for SSH File Transfer Protocol or Secure File Transfer Protocol. It’s a separate protocol joined with SSH that transfers data over a secure connection. While SFTP and FTPS are very similar, these two protocols vary in distinguished ways. An FTPS is FTP with SSL for security. FTPS handles data transfers with a control channel and can open up new connections in which the data may transfer. Since it uses SSL, a certificate is required. SFTP was designed as an extension of SSH. IT provides file transfer capability, so it requires only the SH port for transferring data and maintaining control. In most SSH server installations you will have SFTP support, but FTPS would need the additional configuration of a supported FTP server. By opening up more secure data transfers, ecomdash customers can now fully integrate with their suppliers or dropshippers that require SFTP support. This will work alongside our dropshipping system. 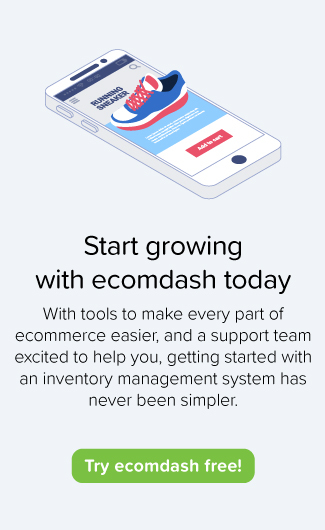 To integrate your dropshippers and suppliers with ecomdash and streamline your order processes, sign up for a free 15 day trial today.